We have delivered the Tangible Ireland-Ambassador Summer School in the month of August since 2010. Ballyhoura, County Limerick provides a relaxed environment as business and civic leaders share their vision and participate in rigorous discussion about issues pertaining to progression towards a better world. Visionary thinking and tangible leadership are paramount in Ireland and the world today. 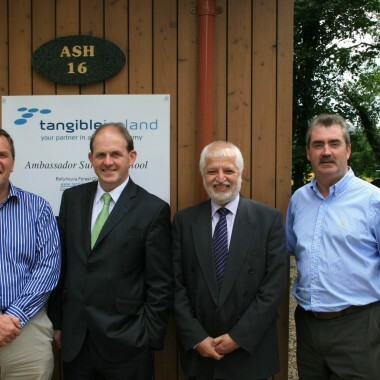 Tangible Ireland’s programming is designed to offer significant opportunities for individuals to develop their capacity for visionary leadership. Tangible’s commitment is to work with you supporting the achievement of extraordinary results in your professional and personal life. Facilitating your performance, learning and development assures excellent leadership across Ireland. The School is convened by Raymond Sexton, Founder of Tangible Ireland, with Guest Co-Convenors and presented with additional support from a wide range of individuals.